With ad spending on TV in the UK forecast to be down this year, it’s no wonder that broadcasters are focusing on digital advertising. Better targeting of advertising on catch-up and on-demand services means this segment of the ad pie is on a growth trajectory: broadcaster VoD ad spend grew by double digits last year and is projected to repeat that in 2017. Relative to linear TV spot ads, it is still small beer, but it’s growing fast and broadcasters are increasingly experimenting with new advertising formats. Indeed, later this month, Channel 4 will allow advertisers to add the individual names of viewers in the audio of an advertisement for the UK cinema release of 20th Century Fox’s Alien Covenant. Registered viewers on the All4 service will be shouted at by name and told to “Run!” to avoid the beast in the popular franchise. Personalised targeting is key to making VoD advertising more lucrative, but TV is still playing catch-up with Facebook and YouTube – the latter has a 40% share of the UK ad-supported VoD market, according to Ampere Analysis. This market was worth £700m in 2016 and is forecast to grow to £834m this year. TV’s trump cards are access to more premium content and the less quantifiable, but no less important, matter of trust. With the current media spotlight on brands advertising appearing around hate sites and terrorist content on YouTube, here is where TV can lean in. On its nine-month results call last week, Sky said that although the ad market is “a little bit down” this year, there is a “flight to quality”. ITV reported that long-form video viewing on ITV Hub was up 24% in 2016 and consumption time was up 42%. Online, pay and interactive revenues grew 23% to £231m. 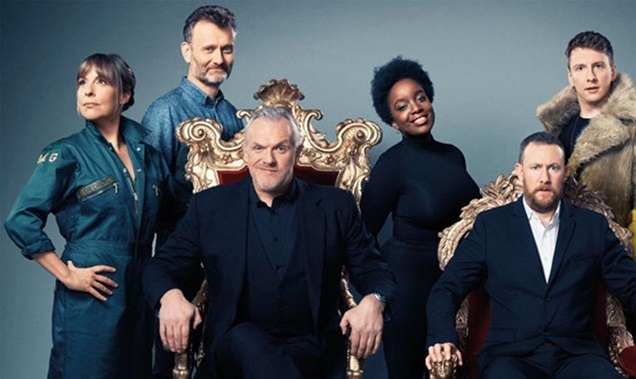 ITV has high hopes for BritBox, its new US SVoD service with the BBC that was launched in March as a counterweight to Netflix, at least in meeting demand for box-set viewing. UKTV is also hoping to cash in on the growth in consumer appetite for VoD, especially as its renegotiated Sky carriage deal will bring its on-demand service UKTV Play, with content from all 10 of its channels, onto the pay platform for the first time. UKTV’s VoD services received 10.2 million views in January and February, 54% up on the same two months in 2016, and a whopping 70% up on 2015. In 2016, six of the top 10 shows requested by viewers on UKTV Play were UKTV originals such as Red Dwarf XI, John Bishop In Conversation With… and Taskmaster. Armed with a better VoD ad deal from both Sky and its sales partner Channel 4, UKTV plans to invest more in its on-demand service “now that we can monetise it properly”. UKTV’s commercial VoD share is less than 1%, but Childs says UKTV Play is its fastest-growing brand. UKTV’s revenues are up 8% to a record £344.8m, driven by continued growth in its share of commercial viewing impacts, which reached a record 9.85% share – ahead of both Channel 5’s and Sky’s channels. Childs is all about future-proofing the business and he sees commercial VoD as a key weapon in that ambition. “We all have to innovate in VoD or the digital giants will eat our lunch,” he says. Indeed, last week Facebook announced it is to introduce augmented reality, where digital images are overlaid on the real world. Combined with Facebook’s targeting capabilities, this could usher in a whole new flood of advertising creativity way beyond being called out by any alien.